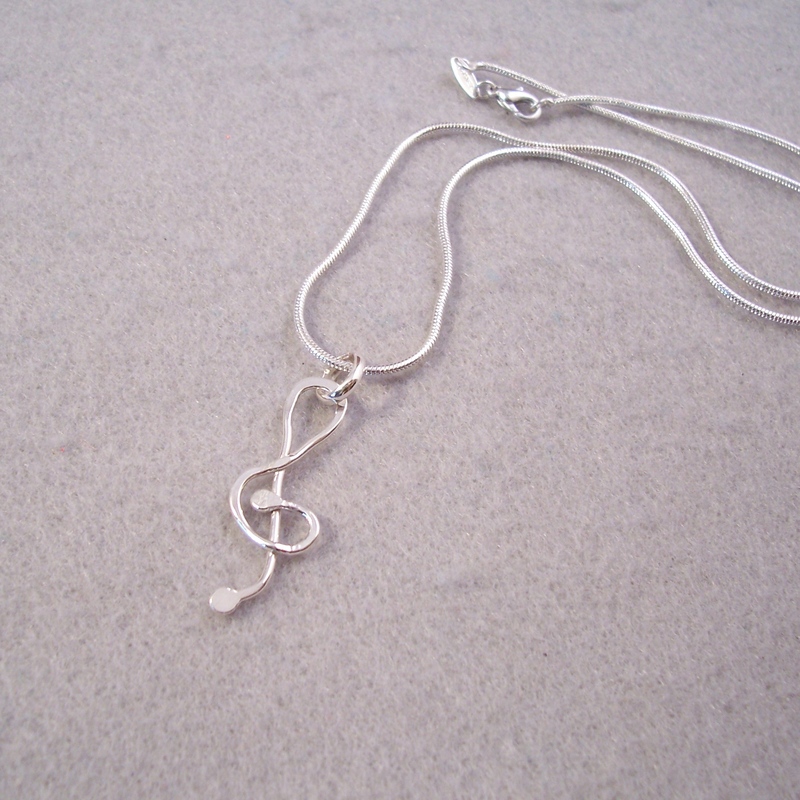 The treble clef sure is a symbol of dance, sing, frolic! 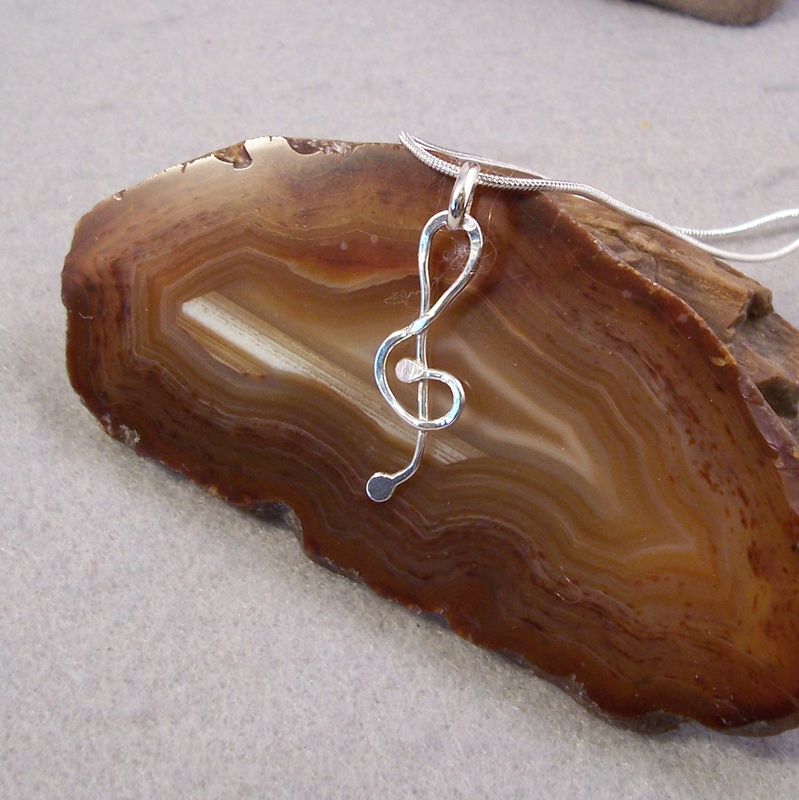 Wouldn't you say? 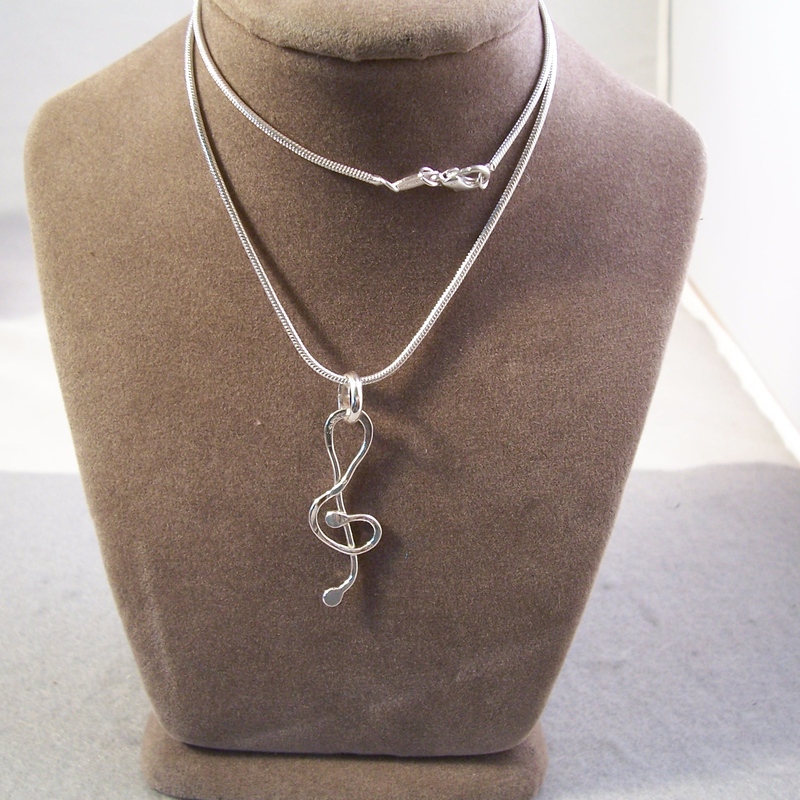 This one is formed from thick sterling wire, soldered, melted, and whacked into the shape of the famous treble clef.